April 24, 2015 -- Green Left TV/Green Left Weekly//Links International Journal of Socialist Renewal -- As the 100th anniversary of the ANZAC's ill-fated Gallipoli campaign approaches, this timely short film cuts through the myth making, and shows with damning facts how lives were used as fodder as strategic and tactical blunders led to the slaughter of so many. 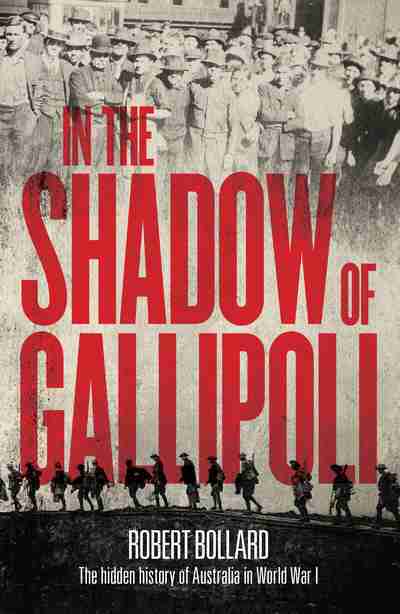 It reveals the context behind the Gallipoli campaign - a war fought because the world had been cut up into colonies by the major powers who were now battling for the spoils. The film shows exactly why the terrible ANZAC Cove campaign should never be forgotten — and the crimes of the warmongers responsible never forgiven. Read more on World War I.
June 3, 2014 – Links International Journal of Socialist Renewal -- On April 25, 1915, Australian troops landed at Gallipoli on Turkey’s coast. They were part of a British imperial force aiming to capture Constantinople (now called Istanbul) and the land alongside the narrow waterway linking the Mediterranean to the Black Sea. It was hoped that this would enable British ships to enter the Black Sea and bring supplies to Russia, which was an ally of Britain in World War I. The plan failed. After hanging onto a narrow strip of land for eight months, the Australians (along with the rest of the invading force) withdrew after suffering heavy casualties. See also "Australia & New Zealand: The imperialist reality behind ANZAC myth". October 25, 2013 -- Green Left Weekly, posted at Links International Journal of Socialist Renewal on April 25, 2014 -- With political advantage from a national celebration of the centenary of World War I in mind, the Julia Gillard government last year allocated an initial $83.5 million towards the “ANZAC Centenary”. Through a local grants program, up to $125,000 is available for each federal MP to fund suitable projects in their electorates. But unfortunately for Labor, the project is now headed by Tony Abbott, who has appointed himself head of the Centenary. Stand by for a broadside of jingoism and a celebration of empire. Unlike World War II, a conflict that arose from the march of fascism, the origins of WWI are more difficult to explain. Why did the assassination of Archduke Franz Ferdinand of Austria and his wife Sophie by nineteen-year-old Gavril Princip in Sarajevo on June 28, 1914 lead to war? April 24, 2015 -- Green Left TV/Links International Journal of Socialist Renewal -- As the 100th anniversary of the ANZAC's ill-fated Gallipoli campaign approaches, this timely short film (above) cuts through the myth making, and shows with damning facts how lives were used as fodder as strategic and tactical blunders led to the slaughter of so many.